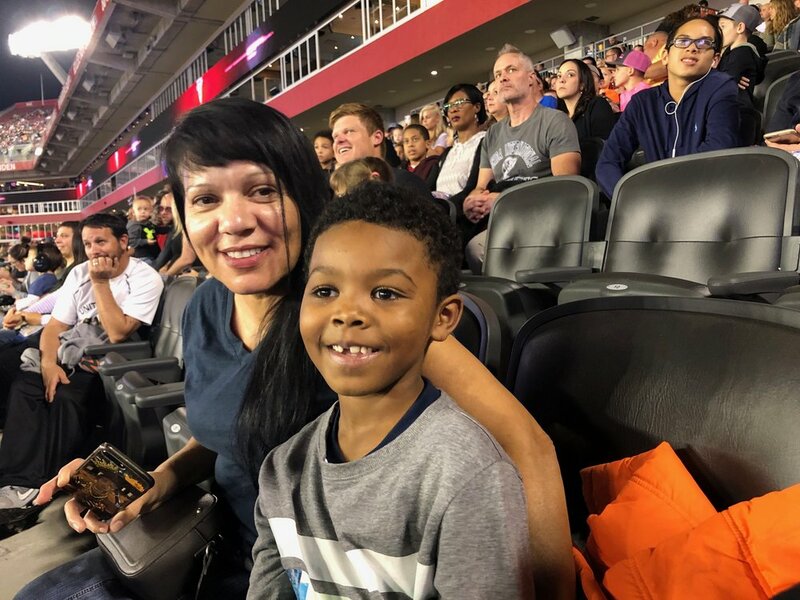 Monster Jam 2019 at the Raymond James stadium was nothing short of a spectacular even as usual! The pit party had tons of activities for the kids to do such as a big slide, racing in mini cars, watching bikers perform, playing in a sand box, and building their own Monster truck. There was food, music, and a lively environment while we took photos with our favorite Monster Jam drivers. There was also a ride in which you could ride around on the Grave Digger, which looked like a blast but we ran out of time. Overall, I would recommend the Pit Party as part of the Monster Jam experience so that the kids can put faces to the drivers in the trucks. In regards to the performance, this year El Torre Loco appeared in blue, new cars came on stage, and sadly the Grave Digger did not perform up to par. Now this could be because the son is now driving Grave Digger so he still needs to fine tune some moves. However, the show carried on with two cars actually setting on fire after the driver’s did flips and tricks on the stadium! Both drivers came out safe but it was definitely a close call. The girls that drove had subpar performances, I was not really impressed with any of their freestyles. If I would recommend or like to see any improvements in the future, it would be for a female driver that isn’t scared to do tricks!